I’ve just become a Dan lepard convert too and I’ve just done a post about it, strangely. Basically someone sent me a breadmaker for review and it made me realise how much I love a good handmade loaf. I didn’t know he did courses though! Awesome. Helen: I’m glad you found Dan’s method, its great and really adaptable. i love making bread with it. You can’t beat a handmade loaf. Dan’s artner has posted link in the comments to the course so you can see what he does there, was a really useful day I learnt lots and gave me lots of ideas to start experimenting. This is a very nice resolution for 2011 ! congratulations and your bread is really impressive! What about walnut or olive bread…these are my favorite! .-= linguina´s last blog ..Ricette della tradizione =-. Could I just sneak in a quick advert for Dan Lepard’s bread making classes ? They are usually one-day events, held in central London(with occasional appearances at food festivals around the UK, and overseas in Singapore and Australia from time to time). We’re hoping to add on some more intensive multi-day courses if we can agree on a venue and course content, but the key thing is that details of all forthcoming events can be found by contacting Dan and at http://www.danlepard.com/forum under the heading ‘Baking Classes’. David: No problem, the course I went on was so useful it really gave me the confidence with the dough to start experimenting. Wow Linda those loaves look great (especially the one middle, furthest right). I also like the fine dusting on them, I tend to haphazardly throw splurges of flour over mine. Hmm will try and be more delicate in future. .-= Food Urchin´s last blog ..The Gluttony and The Resolution =-. Thank Mr Urchin. The Dan Lepard quick loaf gives me a good loaf every time so now its my regular loaf and I am going to do lots of new stuff too this year, back on the sourdough when the kitchen gets warm enough. The fine dusting of flour comes from when the loaf is in the proving basket, I line the basket (or bowl) with a tea towel rubbed with flour so the dough doesn’t stick, when you flip it out to bake it has that fine layer on it, simples! Those loaves look so gorgeous. I love making bread but the kneading does some a bit relentless occasionally. 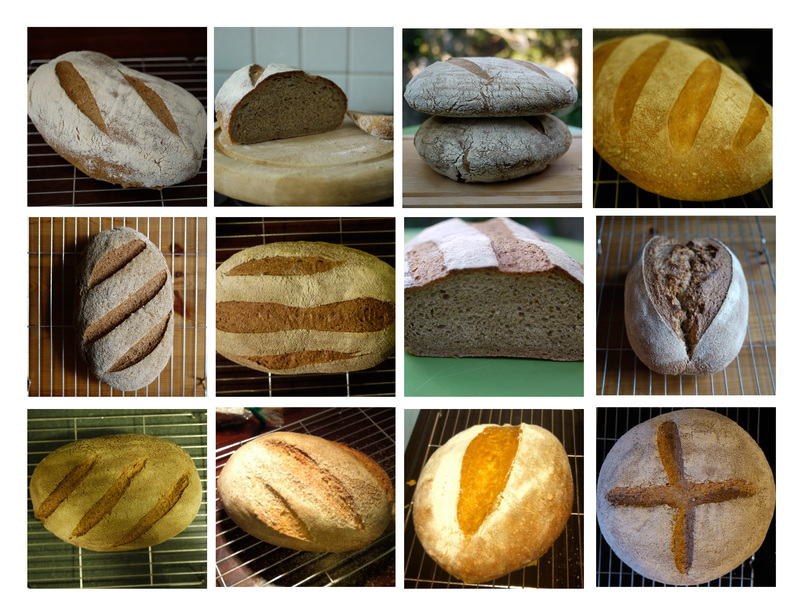 Going to go and lurk on the Dan Leppard forums now and try and find a class so I can start baking some beautiful bread too! .-= Gin and Crumpets´s last blog ..Nordic Bakery- Marylebone =-. Next Next post: What’s all this then….